Do you squint to read words on a computer screen, even in a well-lit room? Do nearby objects look fuzzy, while distant objects seem clear? After you spend several hours reading or writing, do your eyes feel tired, and does your head throb? 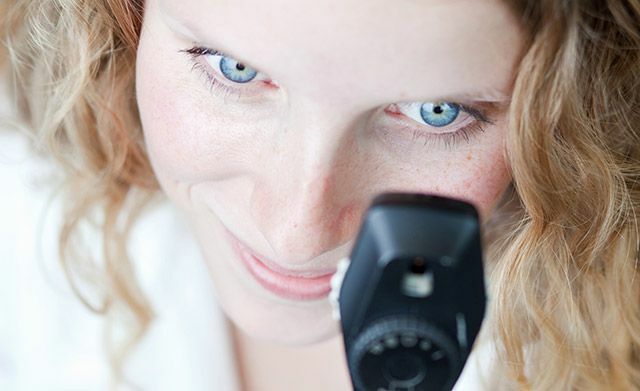 If you're experiencing vision troubles, it's time to see an optometrist in Stouffville. At Dr. Sanjay Khurana's office, our staff will evaluate your symptoms, test your vision, and find the right lens or contact prescription for your needs. Dr. Sanjay Khurana and his team know that each of your family members has different needs. Our Stouffville optometrist provides eye services for all ages, from children to seniors. Perhaps your child needs new glasses, your mother requires macular degeneration treatment and you're interested in laser vision correction. Our complete family eye care ensures that every member of your family gets the services they need. At the preventive yearly exam, Dr. Khurana checks for any problems and provides necessary treatment to preserve your vision and eye health. Dr. Sanjay Khurana and his staff commit to supporting healthy vision in the Stouffville community. They want to help children develop good vision, and they look forward to working with your entire family. We are open Saturdays and evenings, so you can set an appointment that works best with your schedule. Call us at 416-425-3331 for an appointment with a Stouffville optometrist. Interested in a FREE eye exam? Learn if you are entitled to a FREE eye exam!